In da much-talked about 'club'. SampleRadar is well aware that, for many producers, the goal is to create tunes that people will want to dance to. This week, would-be banger creators are getting another helping hand in the form of a collection that's full of floor-filling nu disco sounds. 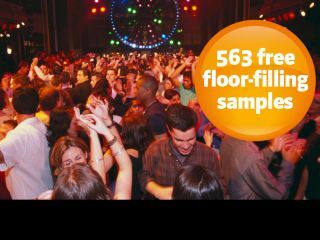 The floor-filling samples are supplied in a zip file, so you'll need to extract them before you can see them. Enjoy!